Great Canadian offers Vinyl Siding in Calgary, Saskatoon, Red Deer and Edmonton. You want to choose the best material for the exterior of your home, something that will protect your home from the elements but doesn’t break the bank. Vinyl siding protects your home from all types of weather and requires limited upkeep. When you want to improve your home’s aesthetic appeal in an affordable way, contact Great Canadian for all your vinyl siding needs. Vinyl siding is a popular siding method for both new homes and homes that need an upgrade. Our vinyl siding in Calgary offers a cost-effective choice to protect your home. In addition to the cost savings, vinyl siding requires little upkeep on your part. A mild soap washing from time to time keeps your siding looking beautiful and new for years. Siding is versatile enough to look like most any other material. You can choose from a wide range of styles and colours. Vertical siding: This siding runs from the base of your house to the roof, drawing the eye up and making your home look taller. 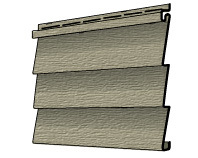 Clapboard siding: Designed to look like wooden shingles, this style of siding gives your home a traditional feel. 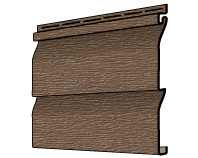 Dutch lap siding: If you want your siding to look hand-carved, consider Dutch lap siding. 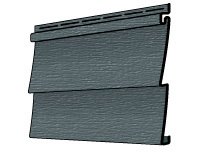 Designed with decorative grooves, this siding gives your home more depth and adds new dimensions. Shake Siding: If you like the look of wood shingle siding but want to avoid the extensive upkeep, consider shake siding. Designed to give the appearance of wood shingles, this siding gives your home a rustic feel. If you are looking for modern siding with sleek and versatile designs, contact Great Canadian for vinyl siding in Calgary.